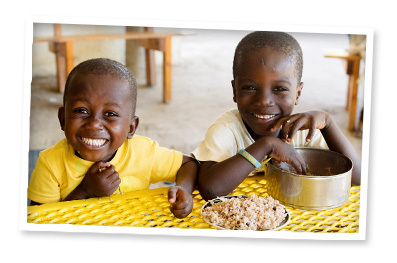 Hope begins with nutritious food. FMSC exists to provide this hope in the name of Jesus. Nutrition allows children to grow, thrive and develop to their full potential so that they can become productive members of their communities. FMSC produces three special MannaPack™ meal formulas developed by food science and nutrition professionals to supplement nutritional needs and reduce problems with malnutrition. 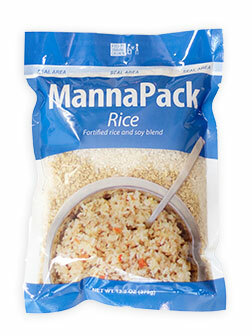 As FMSC’s first and original food formula, MannaPack Rice is an excellent source of protein, carbohydrates and key nutrients culturally acceptable worldwide for anyone over the age of one. 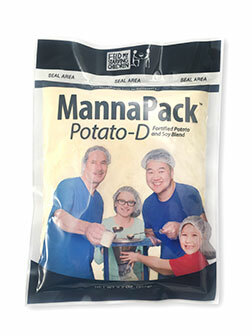 Created to help those suffering from diarrhea, this fortified potato and soy meal formula complements oral rehydration and assists in replenishing lost nutrients. Its smooth texture makes it appropriate for all ages, even children 6-24 months old. This fortified potato and soy meal formula is designed specifically as a weaning food to meet the nutrition needs of children 7-12 months old. It complements breast feeding and acts as a crucial supplement for children whose mothers don’t have access to the vital nutrition their babies desperately need to grow and develop. 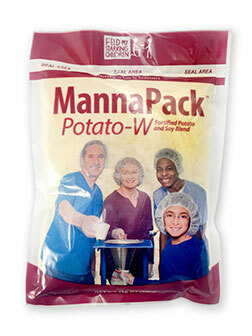 For more allergy information and a complete guide to MannaPack meals, please see our Food Product Guide. All three meal formulas of Feed My Starving Children are vegetarian and halal certified. This makes them culturally neutral and accepted by populations worldwide. "Hunger is the world’s biggest solvable problem. "